By day a bear, by night a man. Half a century ago Simon Lancaster loved a woman. But when he committed a crime and was seduced by a witch his fate was sealed. 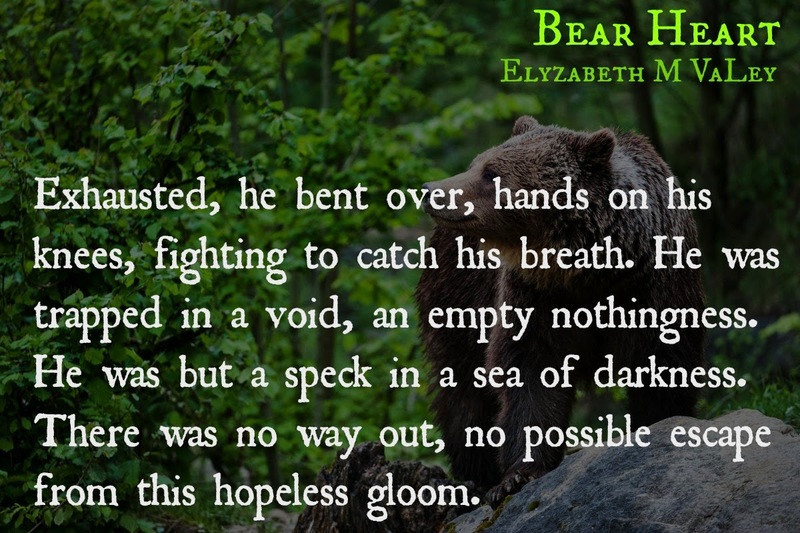 Forced to live as a shifter by day and human by night, he becomes hopeless. He believes there is nothing left in life for him. That is, until he meets Margaret O'Hare. An unconventional woman, Margaret makes him feel whole again, but he doesn't know if he can allow the walls he has erected around his heart to lower, no matter how much he grows to care for her. As their time together has them becoming closer, he starts to trust and love again. But a happily ever after might not be in Simon's future as dark shadows emerge to destroy what he has built with Margaret. He wandered through the woods. Head bowed down, nose close to the forest floor, scavenging for food. Then, he heard it. He froze. His heart skipped, then tightened in his chest before resuming its tempo at a speed that left him dizzy. Ears perked, he started ambling through the forest in the sound’s direction. He stopped. There it was again. Laughter. Loud, boisterous, so unladylike it warmed him from head to toe. He’d recognize that laughter anywhere, even if it had been more than a hundred years since he’d heard it. Lifting his head, he sniffed the air. Rain washed dirt, blooming flowers, and people. His nose wrinkled slightly. He dropped his head. She was not among them. His heart slowed, beating like a sorrowful lament. She was not among them. How could she be? She was dead. He knew that. Yet—the sound of the woman’s laughter reached him again. A tingling sensation spread from his heart to his groin. Unable to resist, he headed in the direction of the sound, curious to see for himself the girl who had his late fiancées laughter but not her scent. He knew he shouldn’t be coming this way. There was a home nearby. He recalled seeing it when he first came to live in this area and vowed to stay away from it, but Evelyn’s memory kept him moving. Evelyn. Dear Evelyn. Deep down in his heart, he knew it could not be her. She was dead. Killed by his own selfishness and stupidity. Killed by his desire for revenge. Stupid. Stupid. Stupid. How many times over the years had he cursed himself for his lack of foresight? For his impulsive nature? He’d lost count. 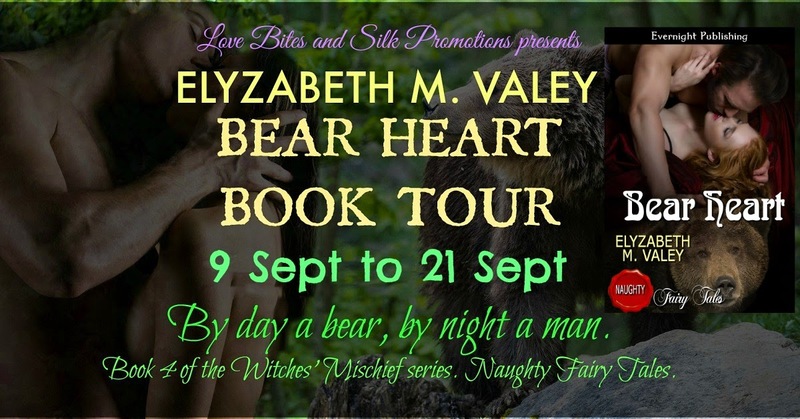 Evelyn was dead, and he was a bear during the day and a man after sunset. He sighed. The loud sound resembled a growl and seemed to echo in the woods around him. Oblivious to his presence, the humans laughed and squealed, clearly enjoying themselves. Simon picked up his speed. Their scents wrapped around him as he got closer. Delicious. Enticing. Crashing through the thicket, he stopped, seeing them for the first time. Quickly, he hid, certain that if they saw him, they’d flee. There were two women laughing and running about near the stream. How they could even move was beyond him for they wore long dresses tapered at their tiny waists and flowing full of ruffles to their ankles. They wore no hats, the offending garments discarded near a tree. He cocked his head, amused at the spectacle. Clearly, these were women enjoying themselves regardless of societal dictatorship. Their cheeks were glowing pink and healthy and water dripped from their hair. The youngest girl looked to be 15 or 16. She had long black hair and a mischievous attitude that reminded him of a playful cat. He focused his gaze on the other woman. His breath whooshed out of his lungs. She was beautiful. Strawberry blonde hair trailed down her back and freckles dusted her arms. She laughed as the younger woman splashed water on her. Simon’s heart constricted. That laughter. The woman looked nothing like his deceased Evelyn, but she had her laughter. It was a sound full of unabashed spirit. Unable to stop himself he moved a little closer. He craved to hear her speak. How much time had passed since he’d spoken to another human being? How much time had passed since he’d been with a woman? The redhead was deliciously curvy and her wet summer dress did little to hide the fact. He closed his eyes and let out a slow breath. 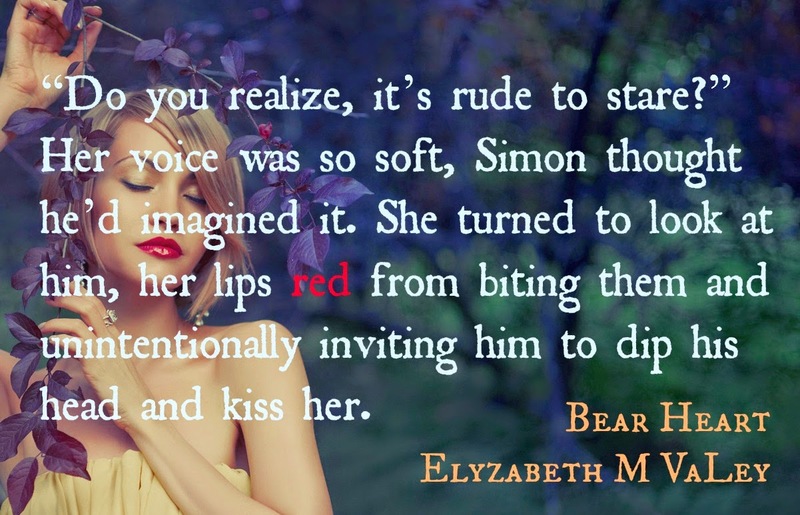 Lust like he had not experienced in ages awakened inside of him and a bear-like sound burst from his lips. He stopped in his tracks and glanced at the women. They were no longer smiling. The smell of fear reached him. They hadn’t seen him yet or they would have run. He knew that. He’d lived it before. People always panicked at the sight of a bear. Besides, it was unlikely the women were alone. He scrambled backwards, eager to get away. There had to be others with them. Others that would hunt him and try to kill him. Strangely, the idea of dying at the hands of others did not appeal to him. At least not today.